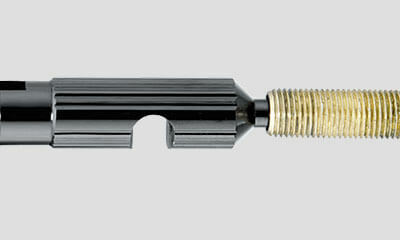 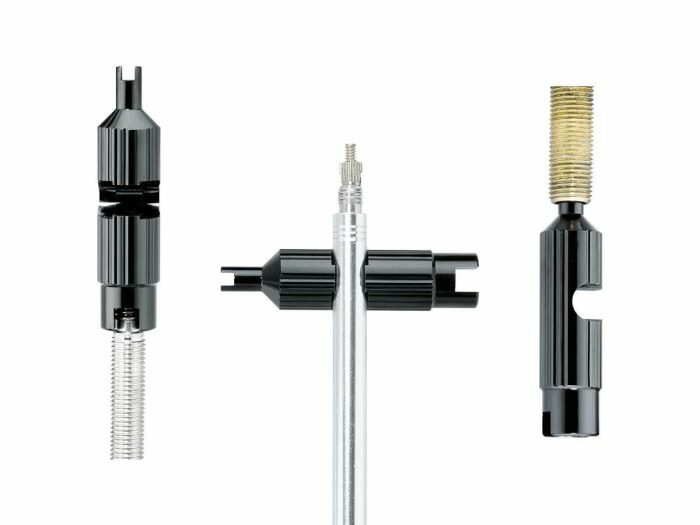 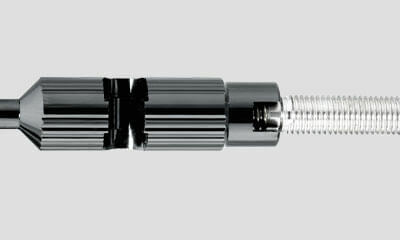 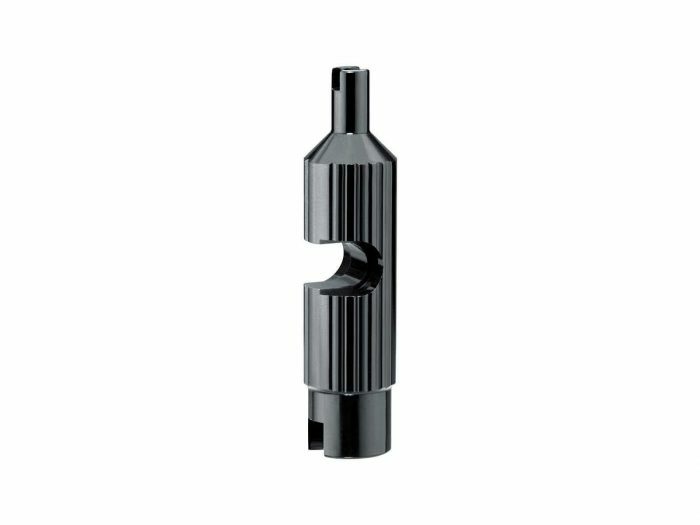 A metal valve tool designed to tighten or remove Schrader and two-piece Presta valve cores. 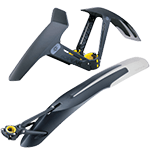 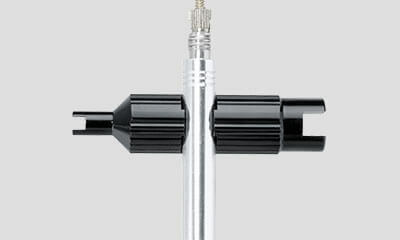 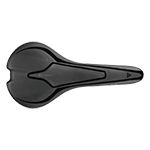 A special tool feature can also tighten or loosen Presta valve extensions. 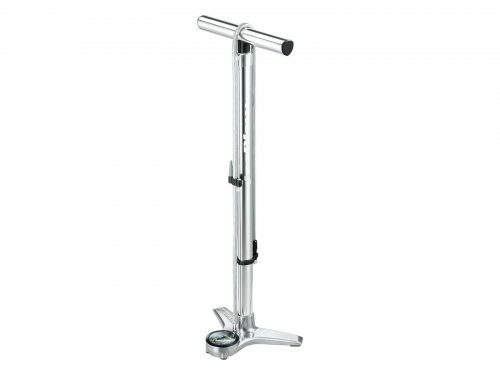 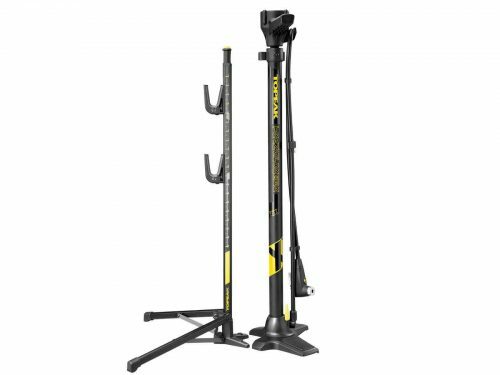 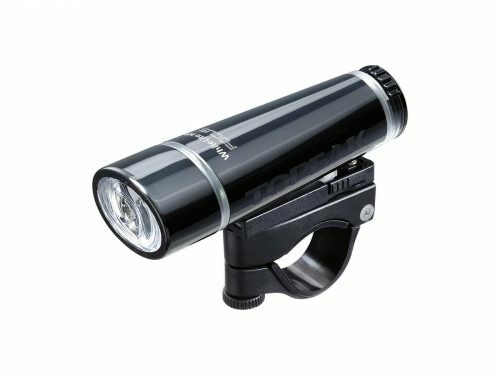 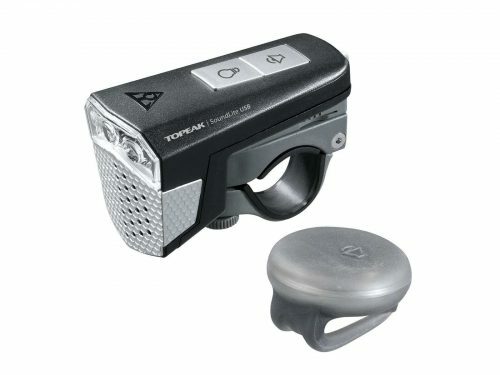 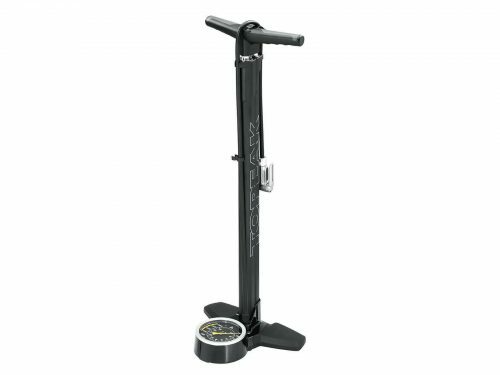 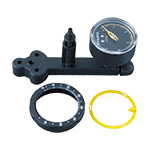 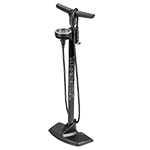 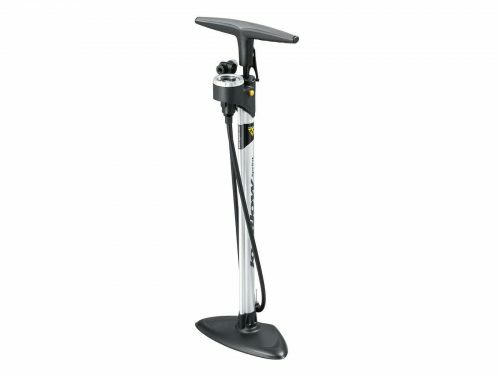 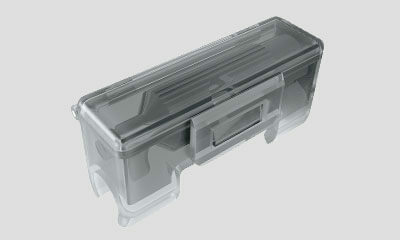 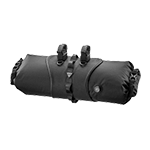 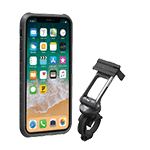 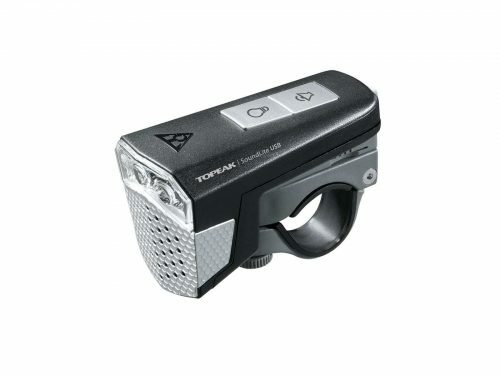 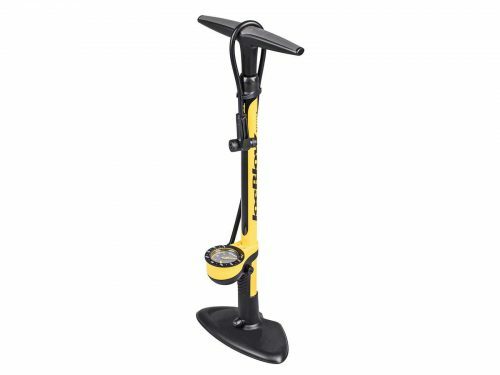 Mounts on Topeak floor pump hose with included storage box.